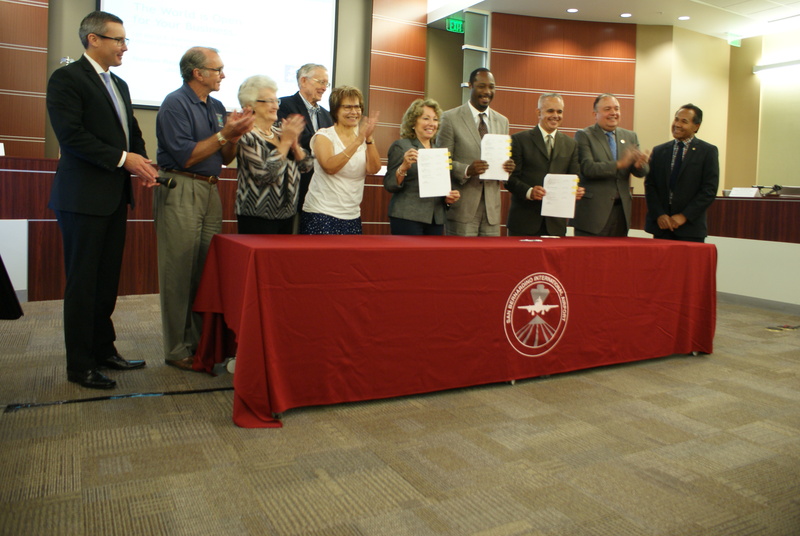 On May 11, 2016, the Inland Valley Development Agency (IVDA) Board approved a Memorandum of Agreement with the International Trade Administration on a variety of initiatives to increase international trade and business investment awareness and promote programs that will benefit local businesses. U.S. Department of Commerce Deputy Assistant Secretary, Antwaun Griffin joined Board Members and staff at the signing ceremony for the U.S. Trade and Investment Expansion Partnership on July 15, 2016. The Agency is excited and proud to begin this partnership.